The album Generazioni (Storia di sempre), recorded in just three days in September 1974, is a true rarity and contains the best distinctive elements of the Italian prog: classical inspired keyboards, good guitar work, powerful rhythm section. As in many other minor productions the voice is the weakest point, but the vocal parts are short. The album includes seven tracks, not particularly long, and the best cuts are the opening Prologo, the delicate Ad un vecchio with a fluid piano introduction and Generazioni. 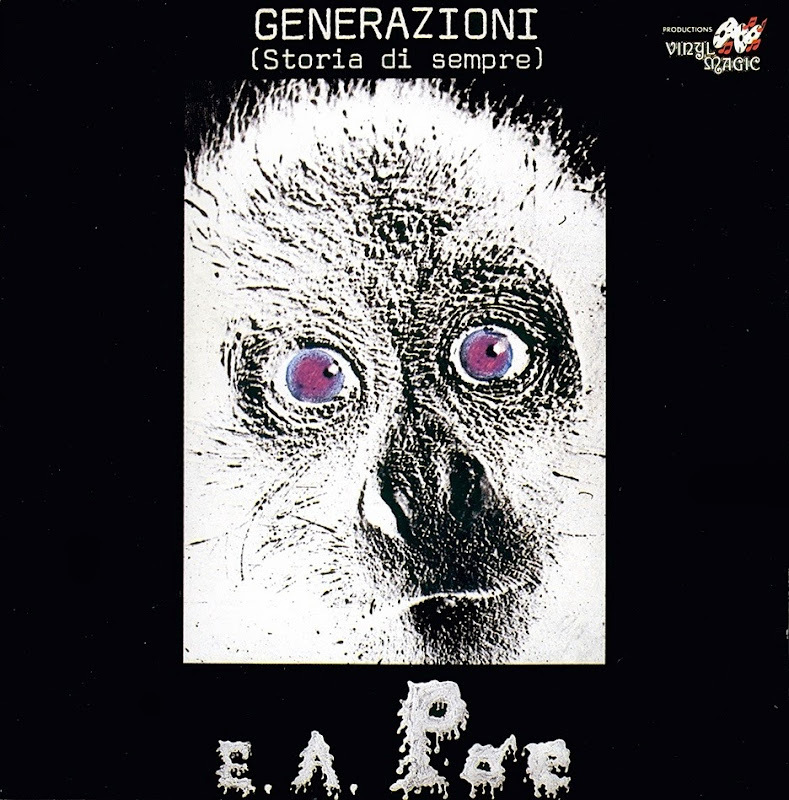 The group kept playing until the end of 1976, recording two singles for the Shark label, one under their full name Edgar Allan Poe, that includes a rendition of the Jaws film theme, the second as backing group for the singer Luca Simonelli in his Portami tante rose/È felicità single. Guitarist Roberto Bertazzi replaced Ronco, that had to do its military service, in the first of these two singles, where the mandolin, distinctive element in the music of E.A.Poe was played by Lello Foti.